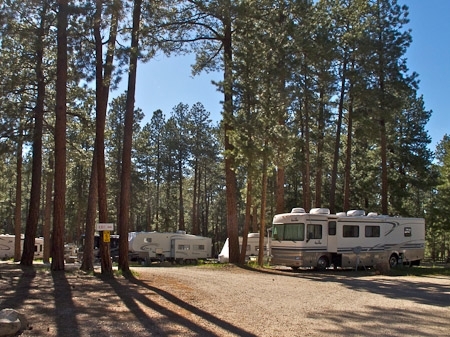 Local Directions: From the Forest Service Kaibab Plateau Visitor Center at Jacob Lake, AZ (junction of Highway 89A and Highway 67): Drive south on Highway 67 for 1/4 mile. Turn right on Forest Road 461 (this is a hard packed gravel road across the street from the trail ride horse corrals). Drive 1 mile on Forest Road 461. 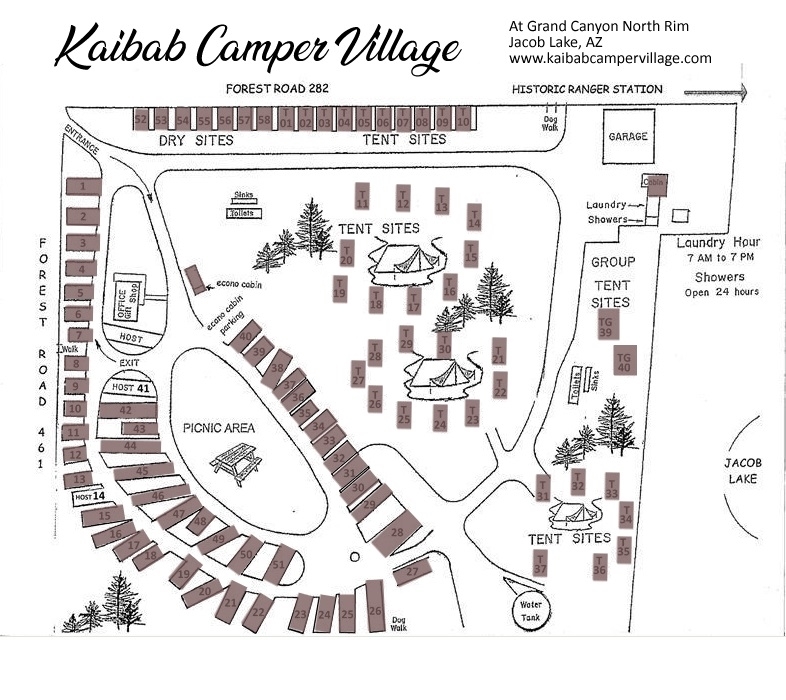 Kaibab Camper Village is on the left. Group consists of 10 or more persons. Fee is $6/person. 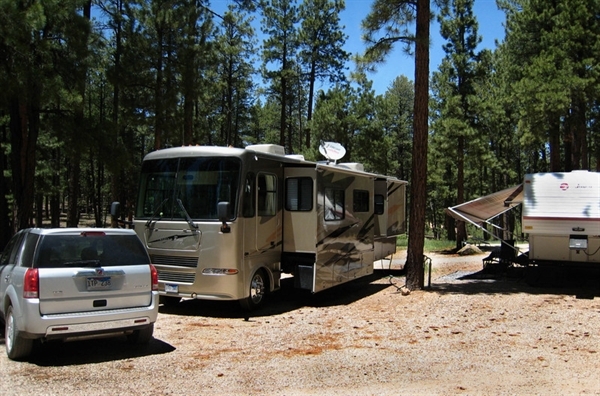 Beautiful campground with very nice staff. The showers are pay showers, but everything is clean and well maintained. I also used the coin operated laundry which worked well. Sites are close together. Restrooms and showers more primitive. 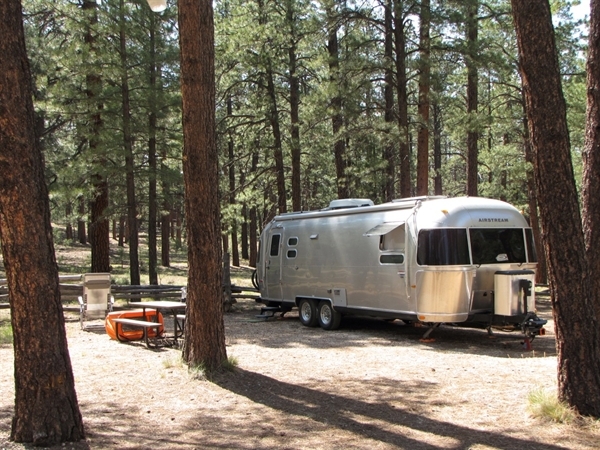 This campground was okay as it is close to the North Rim of the Grand Canyon. Would stay here again for one night. The climate up in the mountains is a welcome relief from the desert. 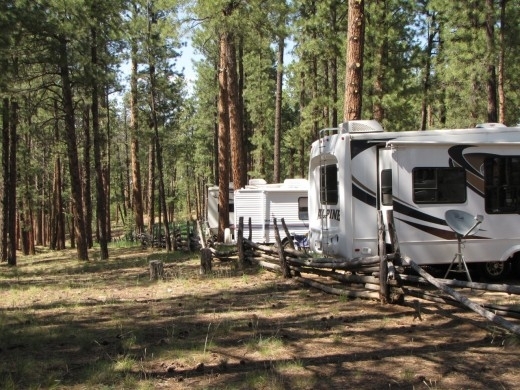 Staff is friendly, sites are gravel but adequate. They are limited on water so we used it sparingly. 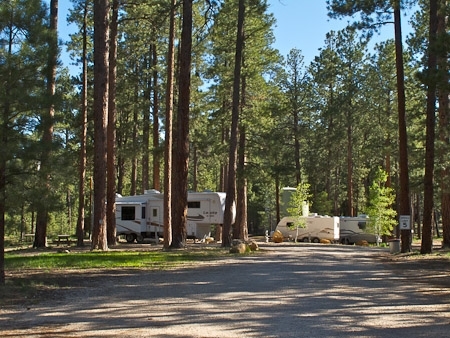 It is the closest private campground to the North Rim of the Grand Canyon. I would use it again since they do have full hookups. No frills just peaceful. 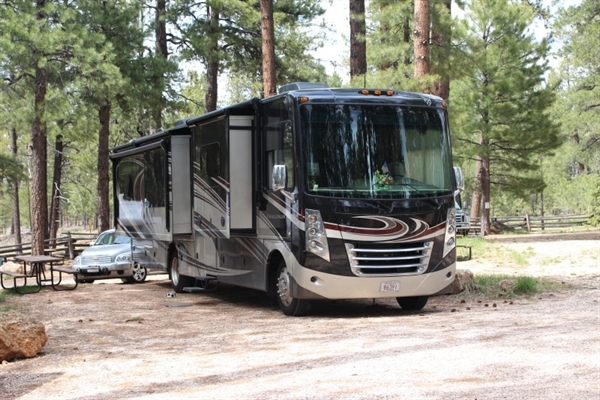 The only Grand Canyon north rim CG with hookups, we enjoyed the shady pine site and nice staff here. Scenic drive to the park takes about 45 mins. There was also a "library" room where our kids enjoyed reading on the couches. Showers were clean and warm but are $2.25 for 5 mins. The toilets are chemical but are kept clean. Our biggest complaint is that quiet hours are apparently not enforced. We had very noisy neighbors late into the night....the camp host a few sites away must not have been bothered. Also, be aware that grocery options are very slim both at the office store and at the store up the road.